Welcome to Hive Architects. 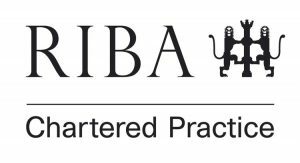 We’re an award-winning, RIBA-chartered architectural practice that designs inspiring spaces for residential and commercial projects in Greater Manchester, Cheshire and across the UK. Our experienced, friendly team is passionate about creating functional architecture inspired by people, place and light. And because we believe in leaving places better than we found them, we try to do it as sustainably as we can. Delivering more value for our clients, and less cost for the environment. Whether your project is residential or commercial, we ensure a personal, creative and responsive approach to help you achieve your vision, without losing sight of the financial or commercial realities you face. If you have a project you’d like to discuss, email the team or call us on 01565 748050. We’ll design the concept for your project and use the latest 3D technology to bring it to life, so you get a clear picture of how the finished development will look. We’ll manage the planning and approval process on your behalf, liaising and negotiating with local authorities to secure planning permission. We’ll provide the level of detail your builders need to put your agreed designs into practice and complete the project, including handling the building regulations submission. We’ll help you choose the right builder - and any other specialists you need - and can manage the construction process from start to finish. Our experienced and friendly team is passionate about creating functional architecture inspired by people, place and light.